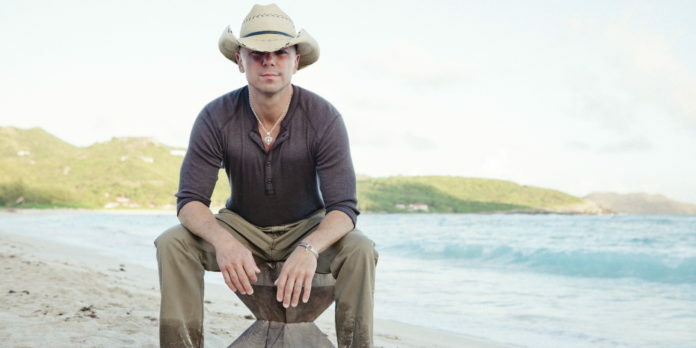 Kenny Chesney is an American Country singer who is known for his hit albums When the Sun Goes Down and No Shoes, No Shirt, No Problems. Having taken an interest to music after receiving a guitar for Christmas as a young boy, it wasn’t long until Chesney taught himself the ways of the instrument. Gravitating towards country sounds, Chesney recorded a self-released album when he was twenty one and eventually used the profits from the project to fund a new guitar. After spending a few years performing stints around local venues and clubs, the aspiring musician met Clay Bradley, a man who ultimately ended up recommending him to an executive at Opryland Music Group. Following a showcase of his musical abilities, Chesney soon secure a recording contract with Capricorn Records. Since then, he has released over sixty singles and seventeen albums. A well-respected singer and songwriter, Chesney has been honoured with many awards over his multi-decade long career. Some of the awards under his belt include six Country Music Association Awards, six Academy of Country Music Awards, a Country Music Television Flame Worthy Award, a People’s Choice Award for Favourite Male Artist, an American Music Award, an Entertainer of the Year Award, amongst several other titles. Most recently, it has also been announced that Chesney will be the recipient of the BMI President Award at the 64th annual awards ceremony later in November. A highly accomplished musician, he has achieved fourteen RIAA certified Gold or higher records throughout the years and has also released over forty top ten single hits in the United States. An eminent figure in the country music industry, Chesney has also made dozens of appearances on television. A regular performer, he has been invited into numerous shows as a musical guest including The View (2005), Late Night with Conan O’Brien (2003), Late Show with David Letterman (2007), The Oprah Winfrey Show (2010) and CMT Insider (2011), Ellen: The Ellen Degeneres Show (2012) and multiple others. Besides being featured in talk shows, the country celebrity has also starred in a handful of documentary films such as Soundstage (2008), E! True Hollywood Story (2008), Balls of Fall (2010), A Decade of Difference: A Concert Celebrating 10 Years of the William J. Clinton Foundation (2011) and Kenny Chesney: Unstaged (2012), to name a few. So what has the country soloist been up to as of late? Where has he been the past few years? What happened to Kenny Chesney? Where is he now in 2018? Born on March 26, 1968, in a town near Knoxville, Tennessee, Kenneth Arnold Chesney is the son of Karen Chandler, a hairstylist and David Chesney, an elementary school teacher; he has a younger sister by the name of Jennifer. As a young boy, Chesney often spent his spare time listening to bluegrass and country tunes alongside his friends; however, he had his eyes set on becoming an athlete. During his teen years, he moved with his family to Knoxville, where he eventually became serious in his football training. A student at Gibbs High School, he was a member of the football and baseball teams but was also a part of the choir. After receiving a guitar for Christmas one year, Chesney became absorbed in trying to master the instrument; it didn’t take long for him to teach himself how to play songs on its strings. Following high school, he went to East Tennessee State University located in Johnson City where he majored in advertising; at the same time, he was also a part of the college’s Lambda Chi Alpha fraternity as well as a Bluegrass Music Program. Despite his business studies, Chesney still spent much time with his guitar, often singing and performing for friends. With encouragement from some of his friends, he eventually began to play at a local restaurant near his university. Carrying on with his passion for music, he soon decided to self-record an album after renting some studio space in Bristol, Virginia. Upon graduating with a degree in marketing and advertising in 1991, he relocated to Nashville in order to pursue his dream of becoming a recording artist. A performer by night, and a car valet by day, he never gave up on his career goal. One fateful day, Chesney picked up the phone and called Clay Bradley, the executive of BMI publishing; wanting to help the aspiring singer onto the tracks, Bradley soon landed him a contract as a songwriter with Rose Publishing. However, it wasn’t until Chesney made an appearance at a songwriters’ showcase with his guitar the following year, that he secured a recording deal with Capricorn Records, under their new country division. In April 1994, Chesney released his debut studio album, In My Wildest Dreamーit would be his first and last record under Capricorn as they’d close their country division shortly afterwards. Produced by Barry Beckett, the album showcased ten tracks including the eventual singles, Whatever It Takes, The Tin Man and Somebody’s Callin‘, two of which would go on to chart. Met with generally favourable reviews, In My Wildest Dream peaked at number thirty-seven on the Top Heatseekers Chart. Although it didn’t turn out to be a best-seller, it still made 10,000 sales prior to the closing of the label. After signing a new recording contract with BNA Records later that year, Chesney released his second full-length album, All I Need to Know in June 1995. More well received compared to his initial record, the album was given a four star rating from critics at Allmusic and climbed up to the number ninth position on the US Top Heatseekers and to the number thirty-ninth position on the Top-Country Albums Chart. All I Need to Know soon spawned three singles: Grandpa Told Me So, Fall in Love and the leading track, All I Need to Know; they would peak at number twenty-three, number six and number eight respectively. As of June 2003, the album has sold over 500,000 units and has received gold accreditation from the RIAA. 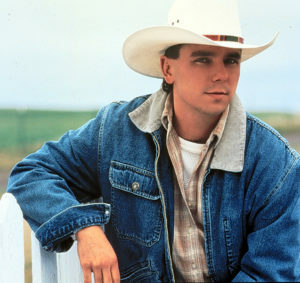 The next year, the country singer released his third album entitled, Me and You in June 1996ーit would ultimately prove to be more successful than his earlier efforts. Recorded at Masterfonics over a period of a year, the album boasted eleven songs on its track list and opened at the number one spot on the Top Heatseekers chart; it later climbed up to number nine on the Top-Country Albums Chart and to number seventy-eight on the US Billboard 200 Chart. A critical hit upon its release, Me and You eventually produced three singles; two of them would go on to make number two on the Hot Country Singles Chart. After selling over one million copies in 2007, it became Chesney’s first album to achieve Platinum status. Before the 2000’s hit, Chesney released his last album of the decade, Everywhere We Go in March 1999. Following in the success of his earlier album, it peaked at number five on the Country-Albums Chart not long after its release and soon reached number fifty-one on the Billboard 200 Chart; it would also be his first record to Chart in Canada, where it ranked in at number five. His fourth record with BNA, Everywhere We Go produced two number one hit singles, How Forever Feels and You Had Me from Hello. His best-selling album of the 90’s, it eventually sold over 2 million copies in the US and was certified 2x Platinum by the RIAA. Two years after the new millennium, Chesney released his biggest album yetーNo Shoes, No Shirt, No Problems in April 2002. A huge sensation upon its release, it topped the charts on both the Top Country-Albums Chart as well as the US Billboard 200. Hailed as the singer’s best record at the time, it consisted of twelve tracks and later spawned five singles: The Good Stuff, Young, A Lot of Things Different, No Shoes, No Shirt, No Problems and Big Star, four of which would chart amongst the top five. Presented with a B- rating form Entertainment Weekly, the album has since been certified 4x Platinum by the RIAAー the first of Chesney’s records to achieve such a feat. 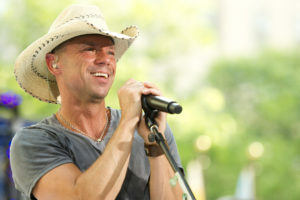 In February 2004, the country singer released his eighth studio album, When the Sun Goes Down. Meeting the expectations planted after the success of No Shoes, No Shirt, No Problems, the album topped both the Billboard 200 and the Top-Country Albums Chart at the number one position; it sold a staggering amount of 550,000 units during the first week of release. Featuring eleven country tunes, When the Sun Goes Down led to the release of six singles; three of which would go on to be number one hits on the Hot Country Songs Chart. Since his success in the early 2000’s, Chesney has released eight more full-length albums including Be as You Are (Songs form an Old Blue Chair) (2005), The Road and the Radio (005), Just Who I Am: Poets & Pirates (2007), Lucky Old Sun (2008) and a number of others. It’s no secret that Chesney has been working on an upcoming album entitled, Cosmic Hallelujah; set for an October 2016 release, it will be his first since The Big Revival back in 2014. Originally scheduled to be out in stores by July 2016 as Some Town Somewhere, the singer later announced a change of its title on an episode of Good Morning American in July. While its release date is a whole month away, the track list for Cosmic Hallelujah has been released and from the looks of it, it will consist of eleven tracksーtwo of which will be his 2016 singles, Noise and Setting the World on Fire. Previously mentioned briefly at the beginning of this article, Chesney will also be receiving the BMI President’s Award this November at Broadcast Music, Inc’s 64th Annual Country Awards Ceremony. A prestigious award given to songwriters who have made profound influences in the entertainment industry, some of its past honourees include Willie Nelson, Adam Levine, Toni Braxton and Gloria & Emilio Estefan. 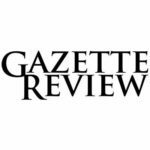 Scheduled to take place on November 1, 2016, the event will be hosted by Mike O’Neill, the president and CEO of the company and Jody Williams, the vice president. Another upcoming event that the country star will be partaking in, is the 2017 Carolina Country Music Fest. 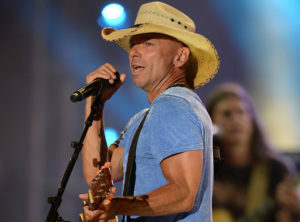 Held at the Myrtle Beach Pavilion site, the festival will be headlined by none other than Chesney himself! Initially announced on 107.9 The Gator, a country music centred radio station, the music fest will kick off in June 2017. Looking for ways to connect with the award-winning country singer? 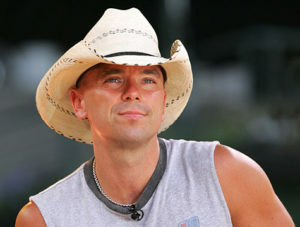 You can do so easily by just following him on social mediaーyou can find him on Twitter (@kennychesney) as well as on Instagram (@kennychesney). Also be sure to check out his official website for some of the most, up to date news on the star!